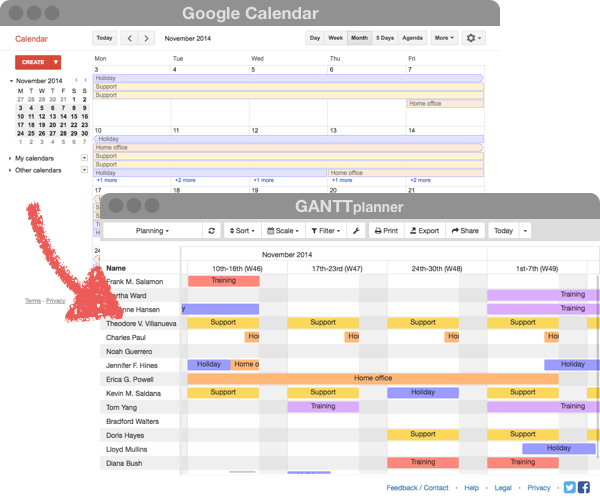 With GANTTplanner, you can manage projects, plan staff vacations, or schedule equipment bookings based on your existing Google Calendar data. Gain insights. Track progress. Collaborate. See all benefits. No sign-up required. Use your existing Google account. 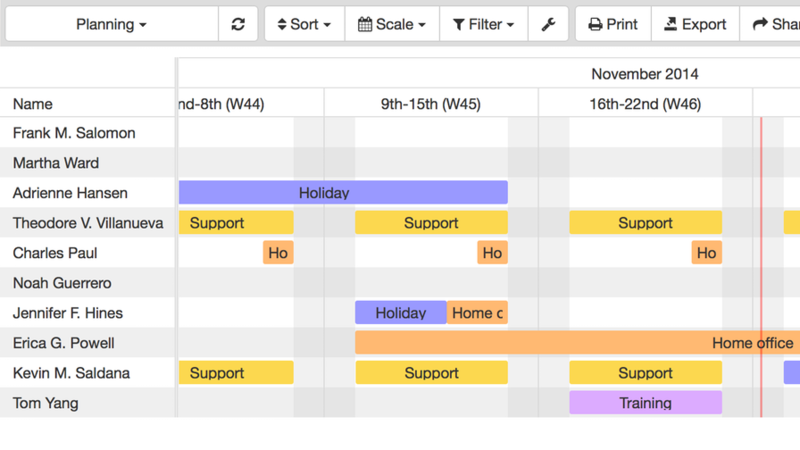 Viewing your Google Calendar as a Gantt chart gives you a much better overview because events are grouped together by topic. 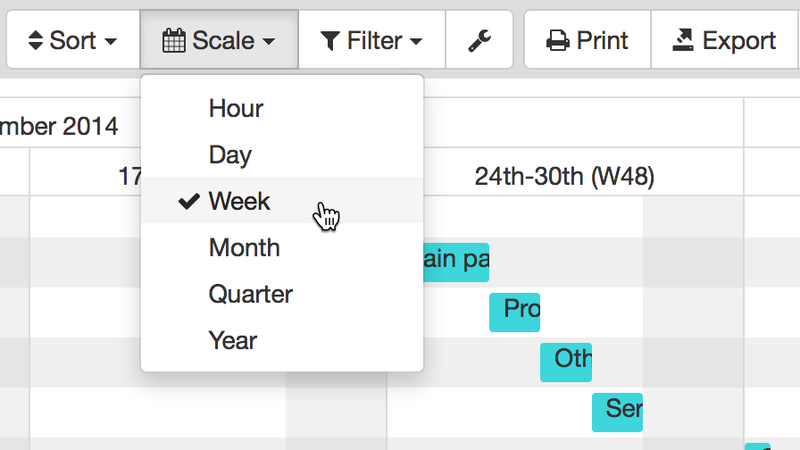 Now you can make scheduling decisions faster and find event dependencies easier. With a quick glance you can determine resource availability to prevent overbooking and see what is happening at each stage of your project. Simply move events around with drag&drop. Create new ones. Rename them. Color them. Everything directly inside GANTTplanner! And the best is, that all changes are automatically synced with your Google calendar. Different zoom levels allow you to see the big picture or everything in detail. 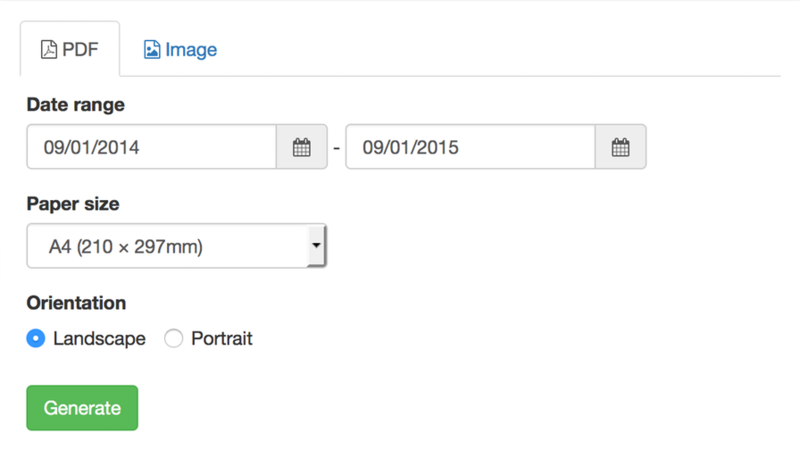 With the filter functionality, you can hide unwanted events to only see what you really need. 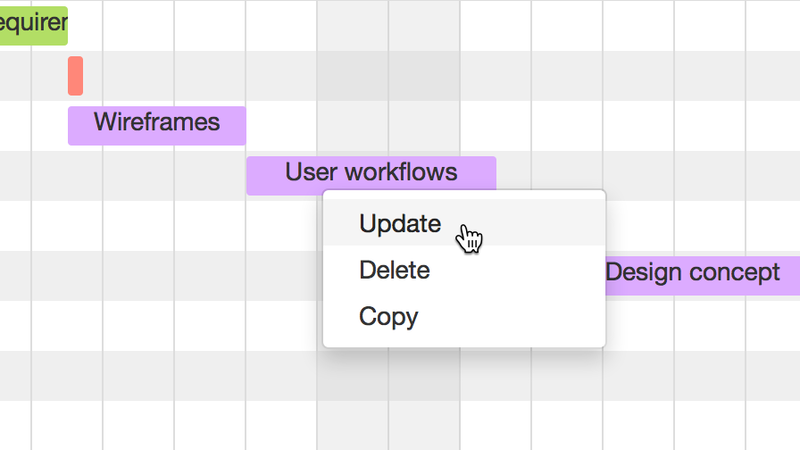 On each calendar event, you can set a work progress. See immediately when the work has been finished or how long it will take to do so. Collaborate with your team and clients in real time by using the online sharing functionality. 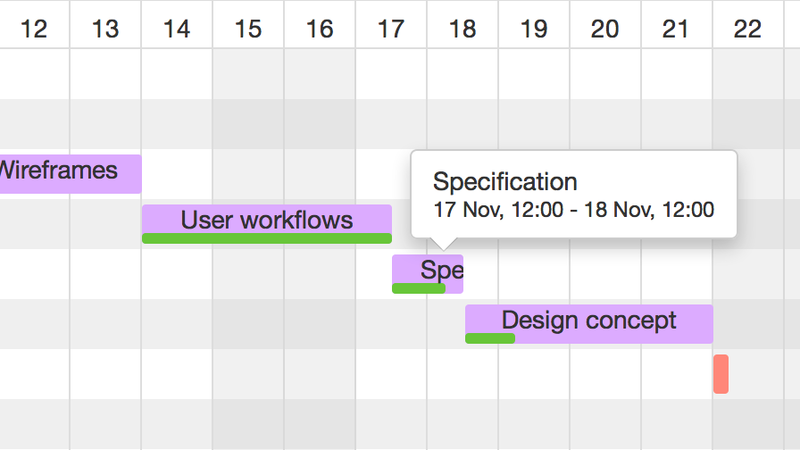 If needed you can export a PDF or image of your Gantt chart too. Print or send your results by email. Join now and get a free 30-days trial! Login with your Google account into GANTTplanner. Choose the calendar / chart you would like to work with. All our plans offer the same features and differ only in available GANTTplanner user accounts. We recommend our Freelancer & Small Team plan as it includes already 5 user accounts and is the perfect choice to start. Absolutely! We offer a free 30-day trial of all our features. No credit card required to use the trial.